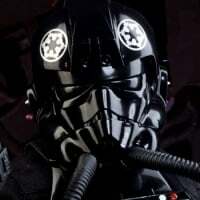 I'm recruiting starfighter pilots to achieve air superiority in the Galactic Assault gamemode. Flying solo in GA is an often frustrating experience. The air war often ends up having little impact on the ground war and taking of objectives, despite the power of bombers, LAATs, and other ground-attack aircraft, simply because without coordinated teamplay, the aerial battle quickly devolves into endless circle-fights between newly spawning starfighters (who get the drop on everyone) and the pilots stuck in the swirling dogfight in the middle of the map. The end result is that nothing on the map gets bombed or strafed, and if it does, it's haphazardly and of little help to your allies on the ground. The need to constantly, constantly watch your six and pull evasive maneuvers with no communication or support from allies means that you're better off spending those battle points on the ground war as soon as you can - for the sake of both your team, your credits, and your long-term sanity. I'm looking for a team of pilots who are interested in working together over voice chat to achieve air superiority in Galactic Assault and use it to win the match for our team on the ground. ROLE - Achieve air superiority - neutralizing opposing dogfighters and any airborne threats, and keeping the skies clear so that the fighters and bombers can do their job. ROLE - Bridge the gap between the Interceptor and Bomber roles, shifting focus as needed to either support the air war or help the bombers in strafing and bombing objectives, vehicles, and soldiers. ROLE - Strafe, bomb, and cause mayhem on the ground - supporting the ground team in clearing and holding objectives, neutralizing enemy ground vehicles, and killing as many enemy soldiers as possible. The bombers will perform straight-line bombing runs on the map, turning around when they reach the edge of the map to set up for their next strafing run. The interceptor's job is to stay high up and around the edges of the map where they can easily see and engage any spawning enemy starfighters - the idea is to tie up the enemy starfighters before they start interfering with the bombers. The fighters are the multipurpose role that will assist the dogfighters until total air superiority is achieved, then focus on attacking ground objectives with the bombers. The Interceptors watch over the enemy spawn, the Fighters watch over the bombers, and the Bombers focus on obliterating everything on the ground. Using this simple method, the air war have a large impact on the ground war. 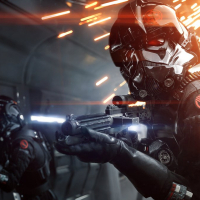 Many of you have already been on the receiving end of the total devastation that coordinated starfighter teams cause on the ground - well, we want that to be us. In the Star Wars universe, Black Squadron (also known as 61st Squadron) was an elite unit of TIE Fighter pilots serving under Darth Vader's direct command. Stationed aboard the Death Star, they fought in the battle of Yavin IV - significantly outnumbered, but the finest pilots in the Empire's ranks. The idea is to build up a core group of starfighter pilots that can drop in and play with each other anytime on the Xbox One. Post here or PM me if you're interested. Members joining - planning to fly this weekend. 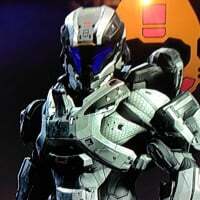 Any more pilots that want to join up PM me or post here. Still recruiting - flying every day. Still recruiting - posting videos soon. I can't fly worth a d. A. M. N.
Please do - my gamertag is Rismus, same as my profile. Looking for more pilots who want to fly together, particularly Fighter and Interceptor roles. Flying in Starfighter Assault as well now - videos may be up soon. I'm on PC and am a space sim junky. Is this for XBOX playes only?